Federal government budgets are normally very domestically focused, especially in a potential election year – unless there is a global financial crisis. But the fiscal plan outlined this week was interesting from an international relations perspective because it was the first budget of the newly proclaimed Indo-Pacific era. The first point to be made about this is that the government deserves credit for at least factoring its new regional construct into an election-focused budget. Diplomatic architecture tinkering in the past hasn’t always flowed into fiscal planning, and so lacked some credibility. However, this first attempt to give budget substance to the new way of viewing Australia’s (enlarged) neighbourhood has only served to underline challenges to the approach outlined in last year’s Foreign Policy White Paper. For example, notwithstanding the fact that the Indo-Pacific spending is mostly reallocated rather than new, the irony is that the government’s capacity to produce a relatively painless budget with a few foreign policy trimmings is substantially due to stronger than expected demand for Australian resource exports to China. So, the cash splash in the Pacific on diplomacy, defence, aid, and infrastructure to ward off Chinese intrusions has partly been possible as a result of Australia’s oversized dependence on China’s continued boosting of government revenue. 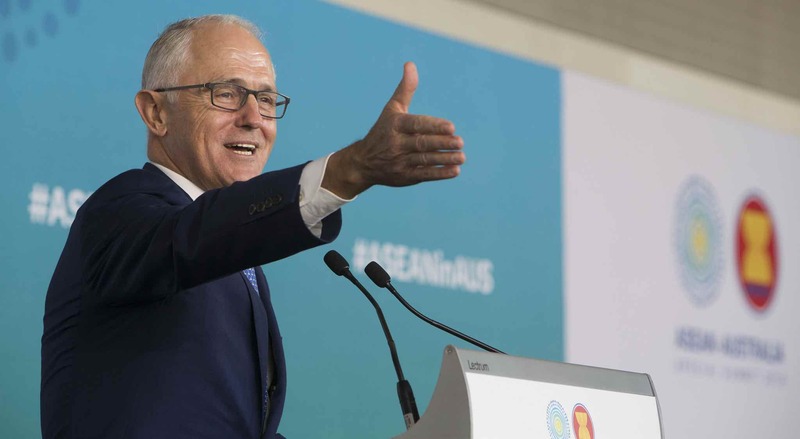 The decision to open Australia’s newest diplomatic outposts in what may well eventually be the world’s most populous (India) and least populous (Tuvalu) countries encapsulates the diversity of the Indo-Pacific. But it also highlights that the Department of Foreign Affairs and Trade will be struggling to keep up with one of the little-appreciated structural shifts in modern Asia – the rise of the regions within nation states. This is particularly important from Australia’s trade and investment perspective, but in some decentralising countries, such as Indonesia, is also important from a political perspective. DFAT has been onto this for some time, installing new outposts in places such as Chengdu, Phuket, and Surabaya. However, this week’s selection of different cities, including Kolkata and Vaiaku, for the newest Australian envoys underlines how many emerging candidates there are to be serviced from a reduced diplomacy budget. More sharing of posts with other countries and use of digital communications technology will be needed. Jonathan Pryke has already covered (“Budget 2018: an aid increase by definition, not design”) the debate about whether the new Pacific strategic risks have rescued the Australian aid budget from another Treasury raid, or whether Australia is just finally coming to the rescue of its Pacific neighbours. But there are some interesting developments beyond the inside aid debate about the right geographic split of spending, and whether raids on this fiscal piggy bank will ever stop. First is the way the defence establishment came to the rescue of the aid budget due to China’s stepped-up presence in the Pacific (especially the Vanuatu wharf story) after years of pocketing increased military funding while the competing aid vote got the chop. This was well overdue given that the defence-to-aid spending ratio has gone from around 5:1 to 10:1 in only a few years. It’s also a welcome example of broadly defined security and economic communities finding a common language. Second, while the shift in spending from East Asia (Indonesia and Cambodia) to the Pacific is the headline story in aid, the more interesting underlying story is the way economic support for the Pacific is being delivered by non-fiscal channels, such as the expanded Pacific worker program and schools twinning. The recent World Bank study has shown how remittances back home from temporary Pacific workers in Australia can potentially have more impact than aid, at the same time as benefiting Australian businesses. This is a real two-for-one opportunity. China can’t offer this sort of practical economic support for Pacific countries, and it might counter the selective polling (favoured by some government figures) that suggests Australians don’t support aid spending. Third, it is ironic that the only increased aid spending in this budget comes from the resolution of a debate about which part of the government was going to pay for Australia’s shareholding in the Chinese-sponsored Asian Infrastructure Investment Bank (AIIB). In the end, the aid budget has carried the can for a new institution once seen by the Abbott government as potentially undermining a transparent, global rules-based approach to aid backed by Australia. And this has come as the previously cautious AIIB is showing the first signs of mission creep by extending its lending remit beyond the Indo-Pacific to Africa and Latin America. Treasury has largely adopted the multilateral agency consensus on the growth outlook in the Indo-Pacific that underpins the budget. Although it is slightly more conservative on China and the US compared with the International Monetary Fund, Treasury is also more optimistic on Japan. However, the budget has upgraded Australia’s Chinese growth forecast after stronger domestic growth there in 2017 and earlier this year. It says this Chinese growth has not only benefited Australia in the form of renewed strength in commodity prices, but is also causing volatility because of uncertainty about when China will start to slow. With 80% of Australian iron ore going to China, this remains a key determinant of whether the budget can actually be balanced. Treasury’s decision to focus on the importance of global trade supply chains in this year’s budget appears to be a roundabout way of defending an open trading system without actually mentioning the protectionist attitudes of the Trump administration. The increasing integration between countries means that significant changes to trade policies in one country, especially a large and globally integrated country, are likely to affect many other economies around the world. Even here, China emerges as special case in the discussion about how trade supply chains have not only reduced manufacturing costs but also contributed to anti-trade tensions over the falling domestic value-added share of gross exports. Treasury finds that China is the only major country or region where the domestic valued-added share of exports is rising, because it has been able to maintain a competitive manufacturing industry despite higher labour costs. As a result, it is possible that Asian manufacturing supply chains will be more concentrated in China, yet again demonstrating its economic clout in the Indo-Pacific. Pacific island links from The Interpreter team. Mining, without peace, won’t contribute to a longing for successful self-government and equitable development.